Craft: Robotech Defense Force's Excaliber Mk VI Destroid. Size: height: 36.10ft/11.27m; length: 16ft/5.1m, weight: 31 tons. Skill: Walker Operations: Destroid (Or Mecha Operations: Destroid). Crew Skill: Walker Operations, Vehicle Blasters, Missle Weapons, Heavy Weapons. Range: 2000ft/609.6m (Laser); 4000ft/1200m (32mm Autocannon); 4000ft/1310m (180mm Grenade Launcher); 200ft (Flamethrower). Damage: 2D (Laser); 2D short burst/4D long burst/6D full-round burst (32mm Autocannon); 4D (180mm Grenade Launcher); 6D speeder scale (Flamethrower, fire-linked). Ammo: Unlimited (Laser); 240 rounds (32mm Autocannon); 50 rounds (180mm Grenade Launcher); 50 blasts (Flamethrower). Laser: 1 beam per attack. 32mm Autocannon: 6 per short burst, 12 per long burst, 24 per full-round burst. 180mm Grenade Launcher: 1 per attack. Damage: Varies with warhead type, but usually used for riot control/civil defense (See MISSILES Chart below or where posted). Ammo: 24, 12 per pod; Typical riot control/civil defense load usually uses 12 Explosive, 4 Tear Gas, 4 Knock-out Gas and 4 Fire Retardant. Typical Combat load uses all explosive, OR combination of 2 Plasma/Napalm, 2 Smoke, 2 Knock-out Gas and the remainder Explosive. Rate of Fire: 1 or 2-volley per attack. Damage: Varies with warhead type (See MISSILES chart below or where posted). Ammo: 6, manual reload by someone outside, requires proper equipment and takes 18 combat rounds (minute and a 1/2), or 3 rounds per missile. Rate of Fire: 1 or 2 per attack roll. Location: 2 on the sides of each leg. Fire Arc: 1/2 forward, 1/2 rear. Damage: Varies by warhead type (See MISSILES chart below or where posted). Ammo: 12, 3 per pod, 6 per leg. Rate of Fire: 1 or 2 per attack. Range: 10,000ft (nearly 2 miles). Rate of Fire: 4 maximum per 3 combat rounds, then overheats. Note: The Excaliber can NOT jump, kick, leap or climb, and cannot pick up/carry objects unless they are huge and can be ballanced on the PBC arms, maximum carry weight 8 tons. Main Engine: MT 828 Fusion Reactor; Output=2800 SHP. Radar: 30 mile/48.2km range, conventional operation. Radio/Video Communications: Wide band, directional radio/video telecast capability. 600 mile/965.4km range, or can be boosted indefinitely via satellite. Laser Targeting System: Close range: 2 miles/3.2km. Combat Computer: Calculates, stores and monitors data on the control panel computer screen and/or heads up display (HUD). External Audio Pickup: Sound amplification/listening system with 300ft/91.5m range. Loudspeaker: Amplifies/projects pilot's voice up to 90 decibels. Thermo-imager: A special optical heat sensory unit, allows infrared radiation of warm objects to be converted into a visible image. Enables pilto to see in darkness, shadows and through smoke. 1600ft/487m range. Night Vision Optics: Passive image intensifier, emits no light of its own, relies on ambient light which is electronically amplified to give a visible picture. 1600ft/487m range. Reinforced Pilot's Compartrment: Specially armored and padded, designed for maximum protection of the pilot even if the vehicle is totally destroyed. Can be retrieved and carried by Veritech Fighters or the Gladiator destroid. Independent Oxygen and Circulatory System. Fuel Capacity: The use of Protoculture through Robotechnology gives all Destroids and Veritech Fighters a long life span. Can operate at full capacity for an average of 22 years, half this if in constant use. 180 Degree Rotation: All Destroids, except the M.A.C. II Monster, can rotate 18o degrees. This makes them effective mobile turret artillery pieces, as well as able to fight the Zentraedi head-to-head even if somewhat combersome when compared to the Veritech Fighters. -Robotech: The Excaliber is a non-transformable mecha walker used as an assault and defence heavy weapons system aboard the SDF-1 and on Earth. In many respects, it is a mix of heavy artillery support and frontline combat unit, with both long and short range armaments. Without a doubt, this mecha's array of weapons outstrips any of its kind. Often deployed as a companion with the M.A.C.II to protect it from close range assaults. Armed with two gun clusters like the one built into the Gladiator, machineguns, particle beam cannons and a battery of missiles, the Excaliber may be best thought of as a walking dreadnought. It's main disadvantage is that it lacks any hands, making grasping, holding or any articulated work impossible. This also limits its effectivemess in hand to hand combat. Another drawback is it's slow speed, especially when compared to the Veritech Fighter or Zentraedi Battle Pods or other craft. Since the Zentraedi assault on Earth, the Excaliber Mk VI has become a major tool in the peacekeeping efforts while society tries to rebuild itself. It's an ideal unit for suppressing major uprisings, renegade Zentraedi attacks, law enforcement, recon and patrols in desolate areas. 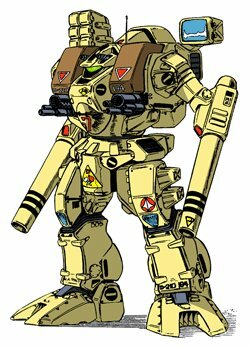 In Robotech/Macross, these and other Destroids can be seen many times walking the hull of the SDF-1/SDF Macross, fighting off battle pods and other attackers and defending the ship in other various rolls. They should be counted as having some kind of magnetic clamps on their feet in this case. In capital ship defence, they make excellent mobile turret weapon platforms. -Macross: The first of the MBR-04 series Destroids, the Tomahawk Mk I entered service in February 2007. Conceived as a non-variable combat robot designed to counter giant-sized infantry, the Tomahawk was built using OverTechnology taken researched from the crash of the alien space craft known as the SDF-1 Macross in 1999. Once successfully tested, the Tomahawk became the basis for three other Destroid types and the improved Tomahawk Mk VI quickly followed in late 2007. The Tomahawk Mk VI is the most heavily armed Destroid of the MBR-04 series and the most widely deployed model. Of the nearly 600 hundred Destroids aboard the SDF-1 Macross in February 2009, over 500 were Tomahawk Mk VI units. Armed with a wide array of weaponry suited to nearly any combat operation, the Tomahawk features particle cannons, missiles, machine guns, lasers and flamethrowers to unleash fire in any role from anti-personnel to anti-aircraft. The Mk VI version also features a retractable periscope and includes the option of mounting searchlight/missile packs in one or both mounts on either side of the top weapons bays. -Star Wars: Star Wars RPG has several scales for combat purposes, in this case, Walker scale. In Robotech/Macross, these would probably be considered something closer to Starfighter scale, but in Star Wars, Walker scale seems more appropriate, considering how they work and fight. In the animated series, the Destroids would almost always be seen taking the brunt of any offensive and being blown to hell, but also giving it right back. This could be shown in their Walker scale versus flying starfighters as they walk around the hull defending the main ship, and also how they carry weaponry that can still harm a starfighter, as well as some starfighter scale missiles and/or warheads. 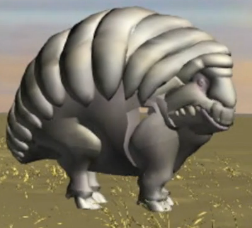 For placement in the Star Wars universe, consider the Walkers utilized by the Galactic Empire. 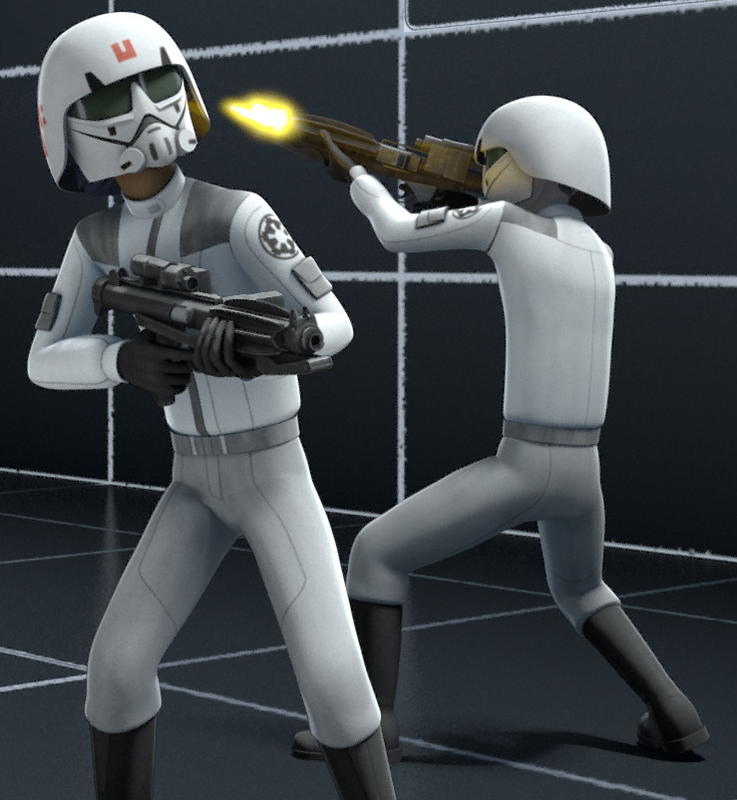 They have them, but the Rebellion never really did, relying on skill and cunning to get the job done, while the Empire used fear and vrute force. However, it is a very big galaxy, and not all pockets of Rebels would fight the same, and some may have had access to the resources, if not the manpower. They could have built walkers to make up for that lack in manpower, giving one single pilot the fighting power of an entire large-scale fighting unit of soldiers and an arsenal to match, able to fight the Empire with devestating force, even against the AT-ATs. If these had been available at Hoth during the Imperial invasion of that base, the ground battle may have gone differently against the Empire. Or, the Empire could be the ones developing these walkers, for further development of walkers in ground assault roles and to make their already impressive forces that much stronger. With this in mind, the Rebels may wish to get their hands on these for their own use. Images are copyright Harmony Gold USA.